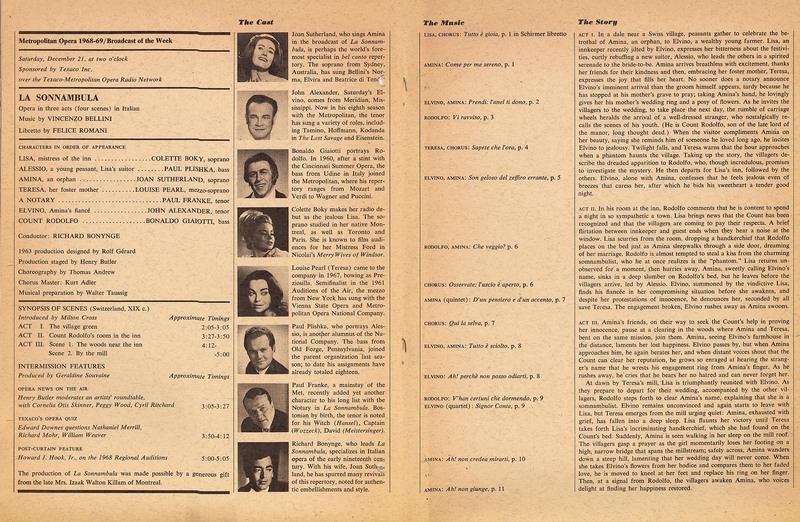 “FAUST : Gounod Original Air Date: 02/26/1972 Cast: Rich; Domingo, Zylis-Gara, Tozzi, Sereni, von Stade Media: MOD Audio SID.18390103 Tags: Archive; 2018, Domingo This over-programmed Faust is on again, but there are so many better … Continue reading "FAUST"
“LES CONTES D’HOFFMANN : Offenbach Original Air Date: 03/27/1982 Cast: Chailly; Domingo, Morris, Welting, Troyanos, Eda-Pierre, Howells Media: MOD Audio SID.18390208 Tags: Archive; 2018, Domingo This is Chailly’s only Met appearance, and is the premiere … Continue reading "LES CONTES D’HOFFMANN"
“UN BALLO IN MASCHERA : Verdi Original Air Date: 01/30/1971 Cast: Cleva; Domingo, Arroyo, Merrill, Peters, Dunn Media: SID.18390209 Tags: Archive; 2018, Domingo, Verdi This is a solid Ballo with early Domingo (he only arrived … Continue reading "UN BALLO IN MASCHERA"
“OTELLO : Verdi Original Air Date: 10/13/1995 Cast: Levine; Domingo, Fleming, Morris, Croft Media: MOD Video SID.18390212 Tags: Archive; 2018, Levine, Domingo, Verdi This performance is also available as a DVD from Deutsche Grammophon. 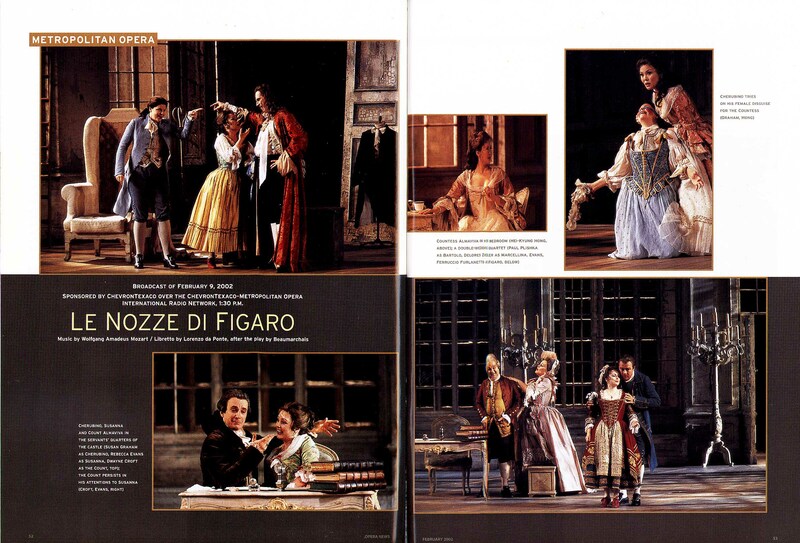 This … Continue reading "OTELLO"
“TOSCA : Puccini Original Air Date: 02/15/1969 Cast: Schick; Nilsson, Domingo, Dooley Media: SID.18390315 Tags: Archive; 2018, Nilsson, Domingo, Puccini This is Domingo’s Met broadcast debut. 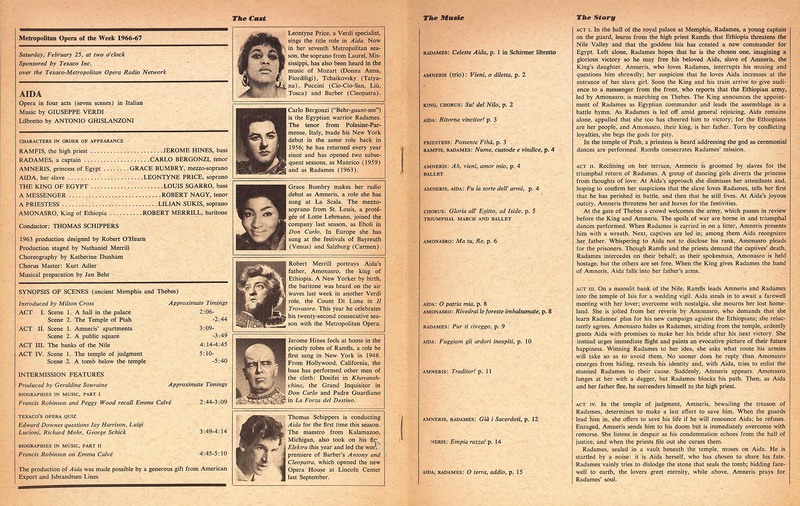 I prefer Nilsson five years earlier in a Met … Continue reading "TOSCA"
“DIE WALKÜRE : Wagner Original Air Date: 04/01/2000 Cast: Levine; Eaglen, Morris, Voigt, Domingo, Schwarz, Halfvarson Media: MOD Audio SID.18390316 Tags: LIVE; 2018, Levine, Domingo RWW: This is also on MOoD and catches some erratic … Continue reading "DIE WALKÜRE"
“DIE WALKÜRE : Wagner Original Air Date: 04/01/2000 Cast: Levine; Eaglen, Morris, Voigt, Domingo, Schwarz, Halfvarson Media: MOD Audio SID.18390317 Tags: LIVE; 2018, Levine, Domingo RWW: This is also on MOoD and catches some erratic … Continue reading "DIE WALKÜRE"
“MANON LESCAUT : Puccini Original Air Date: 03/29/1980 Cast: Levine; Scotto, Domingo, Elvira, Capecchi Media: SID.18390319 Tags: Archive; 2018, Levine, Domingo, Puccini This performance is also available on video in MOoD. 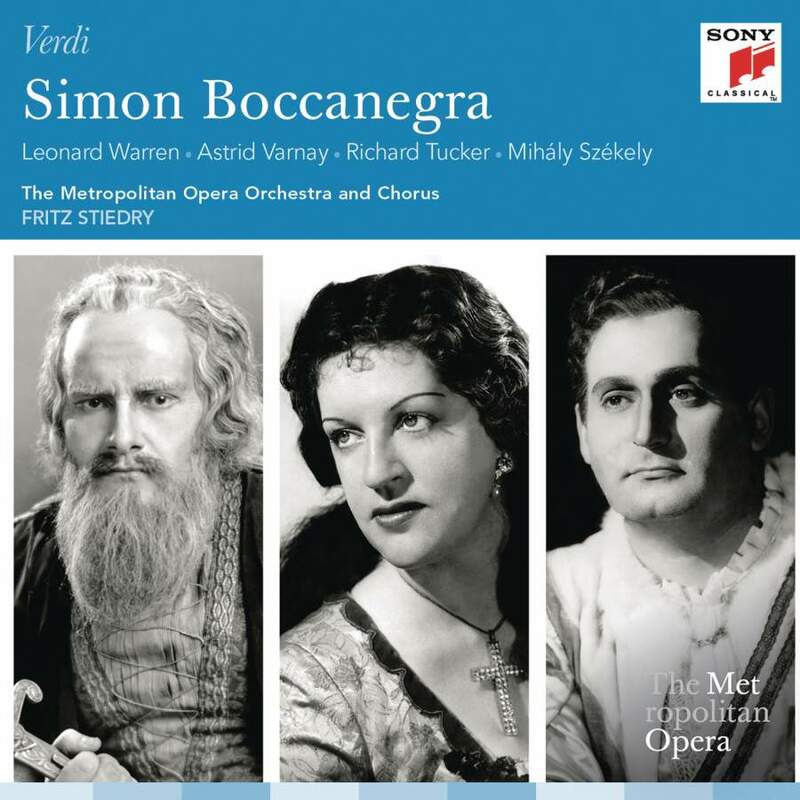 As an audio only … Continue reading "MANON LESCAUT"
“SIMON BOCCANEGRA : Verdi Original Air Date: 02/06/2010 Cast: Levine; Domingo, Pieczonka, Giordani, Morris, Gaertner Media: SID.18390422 Tags: Archive; 2018, Levine, Domingo, Verdi This is the broadcast that was paired with the Live in HD … Continue reading "SIMON BOCCANEGRA"
“LES CONTES D’HOFFMANN : Offenbach Original Air Date: 03/27/1982 Cast: Chailly; Domingo, Morris, Welting, Troyanos, Eda-Pierre, Howells Media: MOD Audio SID.18390423 Tags: Archive; 2018, Domingo This is Chailly’s only Met appearance, and is the premiere … Continue reading "LES CONTES D’HOFFMANN"
“OTELLO : Verdi Original Air Date: 10/13/1995 Cast: Levine; Domingo, Fleming, Morris, Croft Media: MOD Video SID.18390424 Tags: Archive; 2018, Levine, Domingo, Verdi This performance is also available as a DVD from Deutsche Grammophon. This … Continue reading "OTELLO"
“FAUST : Gounod Original Air Date: 02/26/1972 Cast: Rich; Domingo, Zylis-Gara, Tozzi, Sereni, von Stade Media: MOD Audio SID.18390426 Tags: Archive; 2018, Domingo This over-programmed Faust is on again, but there are so many better … Continue reading "FAUST"
“SIMON BOCCANEGRA : Verdi Original Air Date: 02/06/2010 Cast: Levine; Domingo, Pieczonka, Giordani, Morris, Gaertner Media: SID.18390427 Tags: Archive; 2018, Levine, Domingo, Verdi This is the broadcast that was paired with the Live in HD … Continue reading "SIMON BOCCANEGRA"
“UN BALLO IN MASCHERA : Verdi Original Air Date: 01/30/1971 Cast: Cleva; Domingo, Arroyo, Merrill, Peters, Dunn Media: SID.18390529 Tags: Archive; 2018, Domingo, Verdi This is a solid Ballo with early Domingo (he only arrived … Continue reading "UN BALLO IN MASCHERA"
“TOSCA : Puccini Original Air Date: 02/15/1969 Cast: Schick; Nilsson, Domingo, Dooley Media: SID.18390531 Tags: Archive; 2018, Nilsson, Domingo, Puccini This is Domingo’s Met broadcast debut. 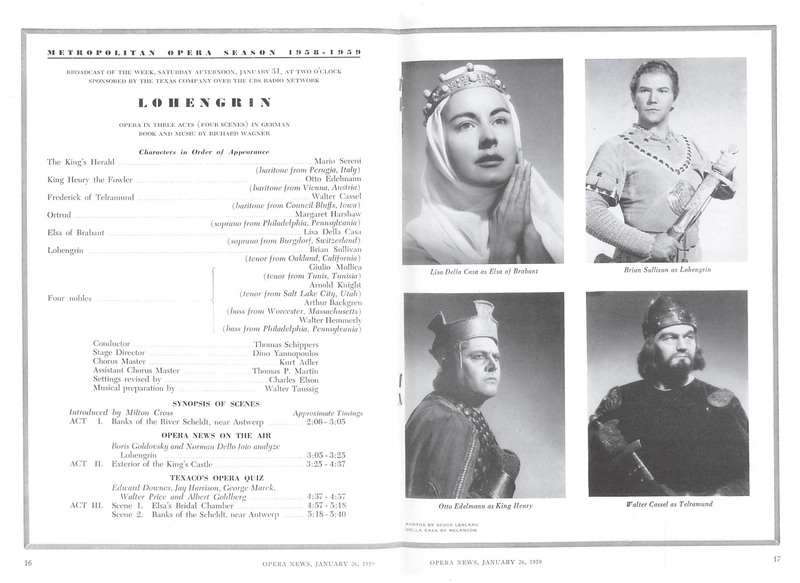 I prefer Nilsson five years earlier in a Met … Continue reading "TOSCA"
“DIE WALKÜRE : Wagner Original Air Date: 04/01/2000 Cast: Levine; Eaglen, Morris, Voigt, Domingo, Schwarz, Halfvarson Media: MOD Audio SID.18390532 Tags: LIVE; 2018, Levine, Domingo RWW: This is also on MOoD and catches some erratic … Continue reading "DIE WALKÜRE"
“DIE WALKÜRE : Wagner Original Air Date: 04/01/2000 Cast: Levine; Eaglen, Morris, Voigt, Domingo, Schwarz, Halfvarson Media: MOD Audio SID.18390533 Tags: LIVE; 2018, Levine, Domingo RWW: This is also on MOoD and catches some erratic … Continue reading "DIE WALKÜRE"
“MANON LESCAUT : Puccini Original Air Date: 03/29/1980 Cast: Levine; Scotto, Domingo, Elvira, Capecchi Media: SID.18390636 Tags: Archive; 2018, Levine, Domingo, Puccini This performance is also available on video in MOoD. As an audio only … Continue reading "MANON LESCAUT"
“SIMON BOCCANEGRA : Verdi Original Air Date: 02/06/2010 Cast: Levine; Domingo, Pieczonka, Giordani, Morris, Gaertner Media: SID.18390638 Tags: Archive; 2018, Levine, Domingo, Verdi This is the broadcast that was paired with the Live in HD … Continue reading "SIMON BOCCANEGRA"
“LES CONTES D’HOFFMANN : Offenbach Original Air Date: 03/27/1982 Cast: Chailly; Domingo, Morris, Welting, Troyanos, Eda-Pierre, Howells Media: MOD Audio SID.18390639 Tags: Archive; 2018, Domingo This is Chailly’s only Met appearance, and is the premiere … Continue reading "LES CONTES D’HOFFMANN"
“UN BALLO IN MASCHERA : Verdi Original Air Date: 01/30/1971 Cast: Cleva; Domingo, Arroyo, Merrill, Peters, Dunn Media: SID.18390640 Tags: Archive; 2018, Domingo, Verdi This is a solid Ballo with early Domingo (he only arrived … Continue reading "UN BALLO IN MASCHERA"
“OTELLO : Verdi Original Air Date: 10/13/1995 Cast: Levine; Domingo, Fleming, Morris, Croft Media: MOD Video SID.18390642 Tags: Archive; 2018, Levine, Domingo, Verdi This performance is also available as a DVD from Deutsche Grammophon. 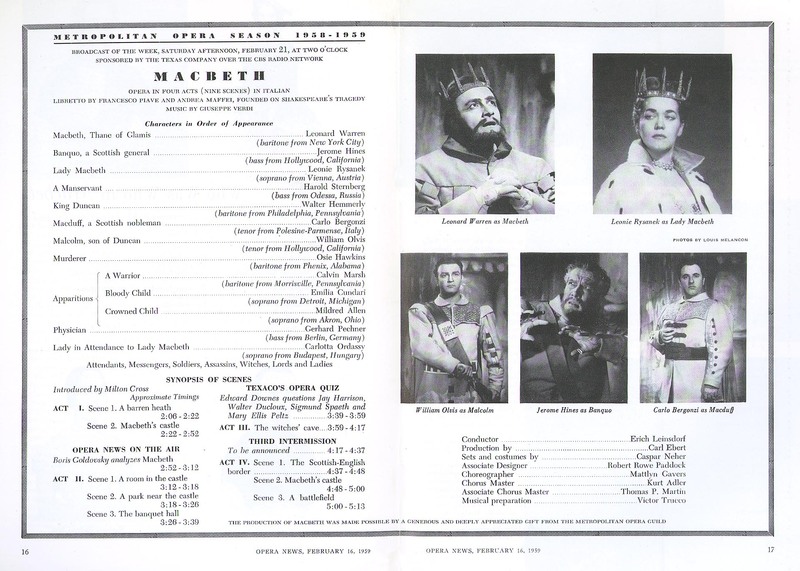 This … Continue reading "OTELLO"
“MANON LESCAUT : Puccini Original Air Date: 03/29/1980 Cast: Levine; Scotto, Domingo, Elvira, Capecchi Media: SID.18390745 Tags: Archive; 2018, Levine, Domingo, Puccini This performance is also available on video in MOoD. 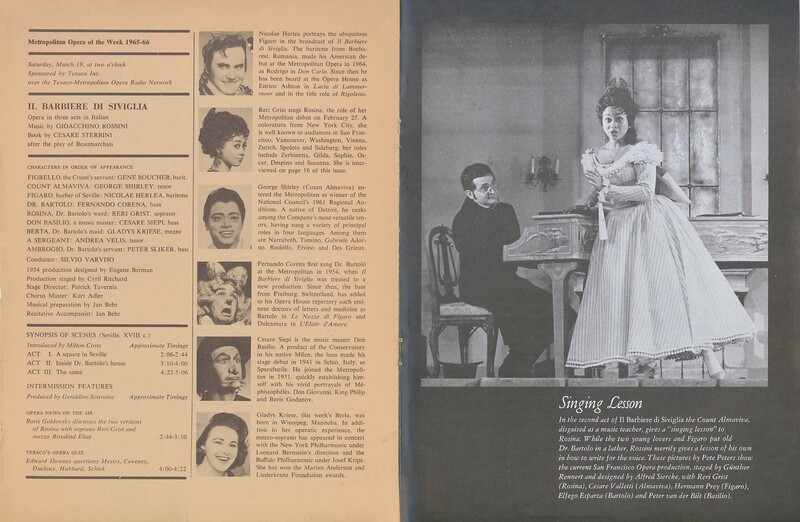 As an audio only … Continue reading "MANON LESCAUT"
“TOSCA : Puccini Original Air Date: 02/15/1969 Cast: Schick; Nilsson, Domingo, Dooley Media: SID.18390747 Tags: Archive; 2018, Nilsson, Domingo, Puccini This is Domingo’s Met broadcast debut. 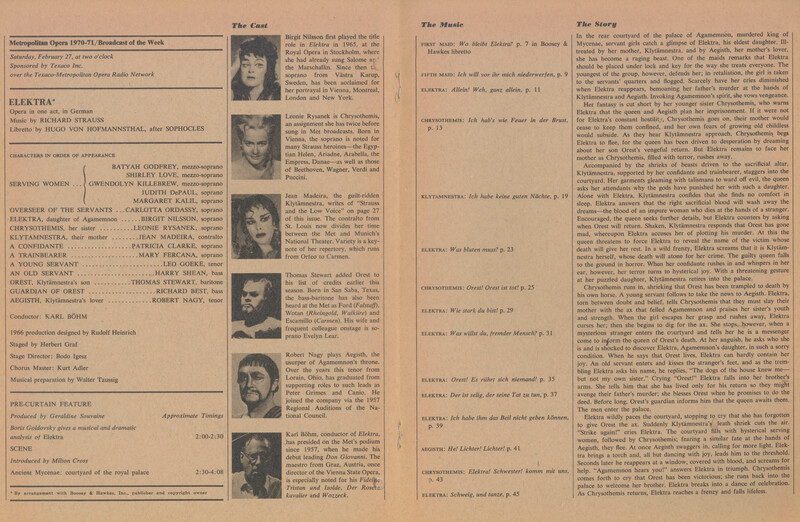 I prefer Nilsson five years earlier in a Met … Continue reading "TOSCA"
“DIE WALKÜRE : Wagner Original Air Date: 04/01/2000 Cast: Levine; Eaglen, Morris, Voigt, Domingo, Schwarz, Halfvarson Media: MOD Audio SID.18390749 Tags: LIVE; 2018, Levine, Domingo RWW: This is also on MOoD and catches some erratic … Continue reading "DIE WALKÜRE"
MESSA DA REQUIEM:Verdi Original Air Date: 02/20/1982 Levine; Price, Quivar, Domingo, Cheek MOD Audio SID.18430320 This broadcast is in memory of long-time Met Assistant Manager and Press representative, Francis Robinson. This is getting to be … Continue reading "MESSA DA REQUIEM"
MESSA DA REQUIEM:Verdi Original Air Date: 02/20/1982 Levine; Price, Quivar, Domingo, Cheek MOD Audio SID.18430531 This broadcast is in memory of long-time Met Assistant Manager and Press representative, Francis Robinson. This is getting to be … Continue reading "MESSA DA REQUIEM"